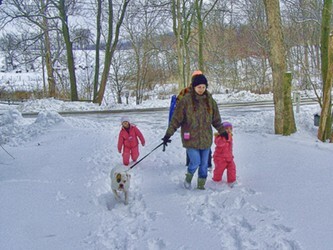 RICHLAND COUNTY — Richland Public Health’s “Winter Hike for Health” is Saturday, Feb. 9. The hikes will be in two locations. In addition to the traditional hike at Malabar Farm State Park, Gorman Nature Center in Mansfield is joining in the day’s healthy fun. Enjoy the winter wonderland with hikes through the woods at either location from 8 a.m. to noon. Hikes are self-guided on easy trails so everyone in the family can participate. Adults must accompany children. File photo Gorman Nature, just a few miles from Bellville in Mansfield, has a host of hiking opportunities throughout its property. https://www.thebellvillestar.com/wp-content/uploads/sites/39/2019/02/web1_Gorman-Nature-Center.jpgFile photo Gorman Nature, just a few miles from Bellville in Mansfield, has a host of hiking opportunities throughout its property.